Sony have recently accounced the details of the upcoming firmware 3.00 update for the PS3. The confirmed release date for this is the 1st September. 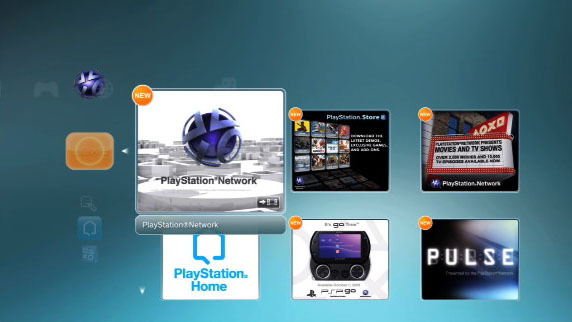 ““What’s New” â€“ The “Information Board” will be replaced with a “What’s New” section, which allows you to enjoy interactive PlayStation news every time you start the PS3 system. Located under the PlayStation Network icon, “What’s New” displays the latest and greatest game, video, PlayStation Network and PlayStation news and releases, as well as your recently played games, in a sleek, new animated format. Status Indicator â€“ In the top right corner we’ve added an indicator bar, which displays your user icon, friend icon, the number of friends you have online and a small message icon to let you know if you have any new messages. The indicator also includes a scrolling ticker that features the latest news from PlayStation Network. In addition, when you press the PS button, the battery life indicator will no longer cover up the clock. Friends List â€“ Now your PlayStation Network friends will appear in a slightly redesigned format on your Friends List. Also, messages will now be viewable from each of your friends’ respective profiles. PlayStation Store Shortcuts â€“ We’ve added a handy shortcut icon to the PlayStation Store under both the Game and Video categories so you can access the latest content quickly and easily. Personalization â€“ Personalize your PS3 with new dynamic custom themes and avatars. Dynamic themes as well as free and premium avatars will be available through PlayStation Store. A dynamic theme takes your screen to a whole new level as it incorporates animated objects into the background.